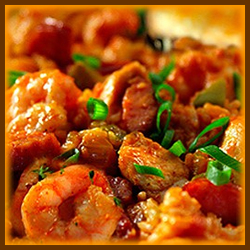 The Mumbo Jumbo Gumbo Cookoff event celebration takes place in Manitou Springs Colorado in March. Let the New Orleans themed festivities and cooking begin in the morning with judging and pulic tastings to follow later in the day. There is no entry fee for contestants of the Gumbo cookoff and winners will receive cash prizes as well as trophies for their winning creations. This is a popular event with both professional and amateur competitions – pre-registration is required with limited entries. Visiting? Discover great deals for Manitou Springs Colorado and more.